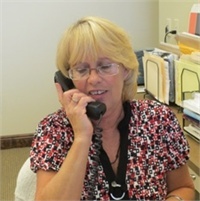 Lisa Lambert | IMS Partners, Inc.
Lisa is the friendly, loveable, helpful assistant who answers the phone when they call IMS Partners. Lisa also greets our clients and provides a variety of administrative services to help make our office run smoothly and efficiently. Lisa confirms all of our appointments and often contacts our clients to verify personal information such as e-mail addresses and phone numbers. She works with Julie and Melissa to help prepare for seminars.